The Conservative Group on Northumberland County Council has carefully considered the Northumberland Local Plan Consultation Document. Individual members of the Conservative Group have raised specific issues during the consultation period and these following points highlight some of the key issues about which we hold concerns and objections. 1. Population Growth. Our main concern from the outset of the exercise has centred around the population growth figures as presented by the Council. Whilst the report quotes government forecasts that Northumberland’s population growth is likely to increase by 4.2% over the plan period, the draft Plan suggest an increase of 10.3%. It is not clear to us how that figure has been reached, nor how it is justified by objective analysis. In addition the assertion of a shrinking working age population is not born out by ONS figures. So the suggested need for an extra 24,310 houses is in excess of need. 2. Economic Growth. We feel that the thrust of the document is based on the notion that the economy of the County would be revived by house-building. However, we are not persuaded that new house-building necessarily leads to sustainable and long-term local jobs, or that adding to population growth automatically creates an increase in sustainable jobs. 3. Employment. Given the imperative need to reinvigorate those areas of the county where unemployment levels are far higher than the national average, the economic development direction of the Council and partners should be focussed in those areas as a priority. However the Preferred Options approach is to concentrate development on areas more attractive to the developers in Central Northumberland. 4. Rural Development. Northumberland Conservatives believe that there should be positive support also for appropriate small business development in rural areas. This would include encouraging the expansion of existing local enterprises, farm diversification, and assisting new local enterprises. Moreover, in some specific rural locations, for example, Seahouses and Belford, appropriate employment sites should be encouraged. With the introduction of High Speed Broadband rural businesses will be at the forefront of economic activity and job creation through the plan period. 5. The draft strategy appears to encourage an uneven population growth – 6% in the rural North and West whilst the Central Delivery Area has a figure of 12%. Northumberland Conservatives do not agree with this approach. 6. We question the sustainability of that 12% figure as it is likely to encourage a further increase in the existing commuter population that live in Northumberland whilst working in the urban areas within Newcastle. This merely highlights our previously made point regarding the unmade case that increased housing and population in Northumberland will inevitably lead to economic development and jobs growth in the county. 7. Affordable Housing. We support the overall percentage target of 30% as the element of affordable housing within new building development, and remain supportive generally of our long-held view that we must do more to encourage the building of social and affordable housing. Furthermore, we feel that there should be greater emphasis given to measures which would encourage rural affordable housing for lower paid residents living and working within the rural economy. 8. 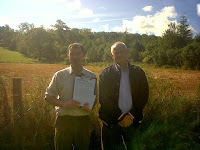 Protection of the Green Belt. 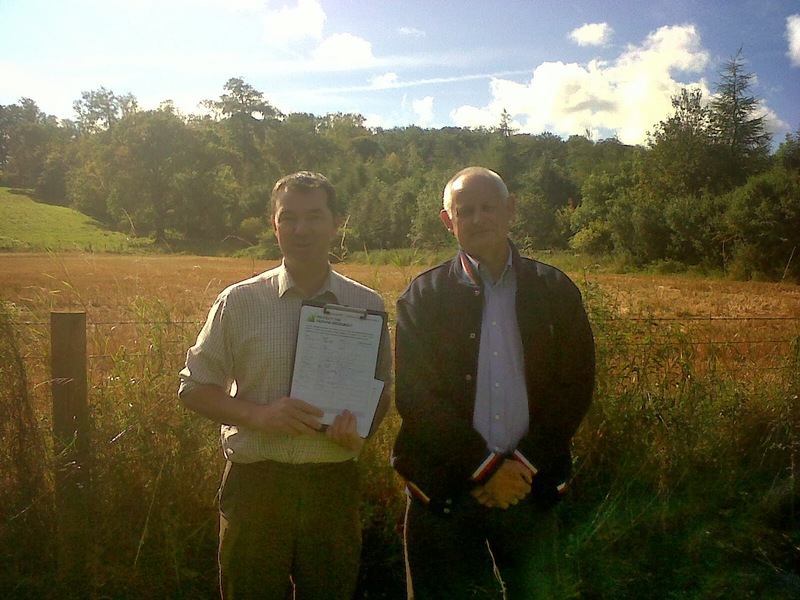 We do not agree with the deletion of sections of the Green Belt. It is less likely, in any case, that there would be a need to change the current boundaries if the likely population growth figure of 4.2% was utilised. It is our view that significant sites for development remain on brownfield and previously developed land. 9. Specifically, we support the views of Hepscott Parish Council in relation to the need for a Green Belt boundary around the southern edge of Morpeth which would provide greater protection against development at Stobhill. 10.Community Empowerment. We would hope that local communities are empowered sufficiently to influence specific decisions around additional building in small rural villages and individual settlements. The housing allocations need revision in the light of local plans and local needs. For example, the emerging draft Alnwick Neighbourhood Plan suggests that more housing could be allocated there than the plan identifies, thus rebalancing serious objections of excessive development in other communities. 11.Existing Planning Approvals. We feel that there is a lack of detail around numbers of existing planning approvals which have not yet been built or delivered.One particular example of this is shown by the treatment of the Cramlington area. Far from Cramlington having no potential for housing growth as claimed in the consultation document, we have knowledge of at least 1,900 extra plots for housing development which have current planning permission. Also we would prefer to see more detail as to levels of potential brown-field sites which should automatically provide first choice opportunities for house-building and development. These figures need to be taken into full account when calculating the need for extra housing numbers in the plan period from 2011 to 2031. 12.Consultation.So far as the Consulation process is concerned and how it has been delivered, we acknowledge the efforts made by officers of the County Council to consult widely. However, a large number of residents have complained that the online electronic means of replying to the Consultation has been difficult – and has prevented some from completing their responses. Likewise, those living in the more remote rural areas have been prevented from attending events because of distances involved, and in some cases lack of public transport. 13.Timetable.Finally, we remain concerned about the published timetable for the remainder of this process. It is essential that sufficient time is taken to consult widely, thoroughly, andappropriately over Minerals and Renewables, as both are crucial to the future of our county and for our residents. I shall be in the Commons all day helping to guide the Immigration Bill through the Commons: this Bill will deal with health tourism, stop the abuse of public services by illegal immigrants, make landlords check their tenants status, reduces the number of possible appeals from over a dozen down to 4, addresses Article 8 and the extent of a right to family life, and reduces pressure on our public services. - will the rest of the UK continue to act as a bank of last resort? - will the rest of the UK continue to subsidise Scotland? - The SNP need to recognise that you cannot spend 30 years saying England and the rest of the UK are terrible, parsimonious and do not let Scotland have its own way... and then want the rest of the UK to bail them out after they have won independence. 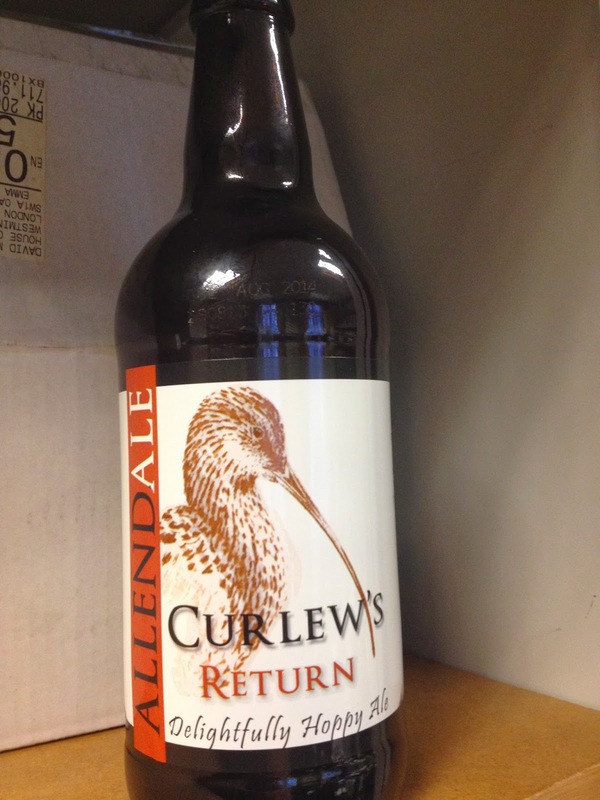 Dry January - 3 nights to go....Saturday will definitely be a "pint of bitter day!" I confess this has been a lot easier than I thought ...and I feel a lot better for it. Foreign Investment in France falls by 77% - compare French socialism with Germany, UK, Spain or even Ireland? The economic numbers coming out of France are horrific. The Wall Street Journal is reporting that new investments by foreign businesses in France fell sharply in 2013 by 77%. A collapse of international confidence in France. 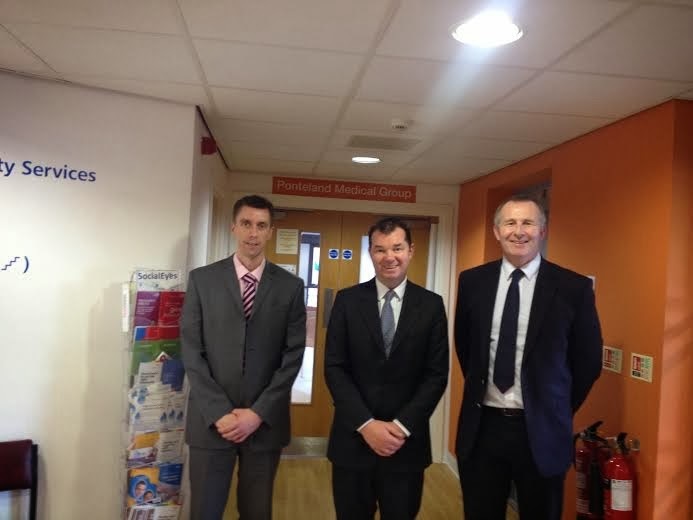 Last week I was able to pop in to the Ponteland Medical Group, and see the great facilities they have there, and generally discuss the future for GPs clinics. This is all part of the work I am trying to do to get to know different practioners around the constituency. I have visited several GP practices over the last year and tried to get a better understanding of their issues problems and potential solutions. All face similar, but different, pressures. I am seen here with Practice Manager, Tony Hockey, and GP, Nigel Twelves, who kindly gave me some of their time. We discussed, amongst other things, the practical benefits, and burdens, of 7 day GP availability and the potential for greater integration and work with the local health Trust. As always from such visits I came away a lot wiser and grateful for the great work our local NHS teams provide to our communities. What happened to One Nation Labour? That's gone now has it? "At the moment Ed and Labour are coming over as the party of social vengeance. Does Ed Miliband want to move Britain beyond the financial crisis of 2008, or does he want retribution for it? Is it about moving the country forward, or seeking payback? If it’s the latter, it will rebound on him." I donated £80 for hats for these plucky adventurers when I met them last Thursday. Then on Friday, myself, North East Conservative MEP Martin Callanan and North West Tory MEP Sajjad Karim fielded questions from the pupils and fellow students from Newcastle College at an event in Newcastle’s Beacon Centre. Among the issues debated were racial discrimination, religious intolerance, youth unemployment, the Scottish independence vote, an EU referendum, dyslexia in education, affordable housing and car insurance for young drivers. We encouraged all those there to use their vote at elections, whoever it was to be for, to make a difference to their lives. Monday is packed: I have meetings with the HS2 Team, Home Office Questions at 2.30, a Rural Fair Share campaign meeting and a discussion with the Green Advisory Group. It is also Holocaust Memorial Day. Having been to Yad Vashem, during a very moving trip to Israel in 2012, that experience will stay with me forever. Monday is a late night finish in the House at 10. Tuesday we have Tresury Questions and yet more evidence that Ed Balls is unfit to run our economy. Despite many opportunities he still refuses to say Sorry or explain why he wrecked our economy. I have the Consumer Rights Bill in the House of Commons. The diary for the rest of the week is up in the air at the moment but I have several Home Office matters. "Greater competition, the desire for local banks and the Labour policy to close regional branches are the issues of this debate. I have held two local banking conferences over the past six months—one in Gateshead on 6 June and the other in London in December—and they were attended by in excess of 350 people from various organisations, banks, accountancy firms and start-ups. It was very striking that, contrary to what Mr Meacher has recounted, there was a tremendous desire for a large number of new banks, and that is in fact the reality. I have met the likes of Metro, Aldermore, Handelsbanken, obviously Virgin, Cambridge and Counties—it was set up out of a local authority pension fund—and the Hampshire bank. A fantastic bank has been put forward by the Unite union, on behalf of Labour, in Salford, and it is doing wonderful work. I have met Alex, who is the linchpin of that. He is a fantastic lad, who is doing great stuff to try to transform how that local community bank provides services to the local community of Salford. I therefore disagree with the doom and gloom approach about there being no competition or new entrants. Certainly, when I meet those from the Financial Services Authority and the Prudential Regulation Authority, including Sam Woods and all the individuals involved with the regulators, they tell me that they have had in excess of 25 separate pre-applications that they are now considering. On 23 April 2012, when we debated local banks and the need for greater competition—this is my seventh speech on local banking in the House in the past three and a half years—the Labour party chose to vote to delete clause 5 of the Financial Services Bill, which was designed to create greater ease for new entrants to enter the market and related to how far competition can encourage innovation. I welcome the fact that the Opposition seem to have changed their policy and would now like more competition, but the proof of the pudding is always in the eating, is it not? An announcement has been briefed to Nick Robinson of the BBC that the Labour party, if it gets into government, will ultimately close regional and local branches. As my hon. Friend Steve Brine made clear when he questioned the shadow chief Secretary, Chris Leslie, that would have a massive impact on our local communities. I am certainly trying to have more bank branches opened in my area. I am negotiating with my credit union to see how far it can do that. Similarly, I am trying to create new banks in the north-east. As my hon. Friend Ian Swales has made clear, there is great scope for new entrants to do so. The very fact that the big five are so complacent and have had so many problems, gives new entrants an opportunity, which is certainly being exploited by all those we have spoken about today. In that context, I want briefly to touch on two matters—credit unions and the Church, neither of which have been discussed. It would be a failure of this debate if it did not deal with both of them. All of us should support our credit unions. I am certainly wholeheartedly behind the Northumberland credit union. We must acknowledge that even though this Government have done more to give credit unions greater clout, power and ability to lend, credit unions are still incapable of filling the banking void and overcoming the current difficulties. The only way forward is the creation of local community banks built on a credit union. I can give the House at least three examples. I have already mentioned the bank in Salford, which is the former Salford credit union. The Glasgow credit union is probably the biggest and most successful in the country: it is effectively a bank in all but name. Finally, I have the Prince Bishops community bank in Durham, which is the former Stanley credit union. All are very successful and have great potential. We need to follow such examples. To touch briefly on the Church, I welcome the fact that Justin Welby is the new Archbishop of Canterbury. It is savage irony that 500 years have had to pass for us to have the new type of God’s banker, who is encouraging the Church to become involved in banking. It can only be good if the clergy move from being reactive to poverty and social deprivation—to their great credit, they are amazingly good at reacting in that way—to being proactive. I suggest that the Church has a role, acting with their credit unions and local community banks, effectively to become the offshoots and outlets of those community banks. After all, all the vicars that we, as constituency MPs, know and deal with know which people are in great social deprivation, going to the food bank or having problems with high-cost credit and need debt advice. There is massive scope for the Church to take a greater role by dovetailing churches with credit unions and community banks. I welcome the fact that the Church has chosen to buy branches of Williams and Glyn’s bank, and is setting something up so that we can go forward. If we can do that and become more proactive in our local communities, a huge amount can be done. In seven days’ time, I will meet my Northumberland credit union in Hexham to discuss how we can promote the idea of taking the credit union, building it up and creating a larger bank to make the situation so much better. If we do that, we will have in our regions and communities a bank that we can trust, with a proper brand name and identity, and one that is part of the community, rather than something based in London or Frankfurt and completely divorced from that community. That is the problem that we all face and have identified and, to their great credit, that is the problem that the Government have made great efforts to address. In the interests of brevity, I will draw to a close, but I very much urge all parties to make sure that they get behind local community banks. We have not always done so, but we should do so in the future." Excelsior Academy is an outstanding school; it is proof that education can transform lives. On Thursday I was asked to attend the presentation on behalf of the 8 students chosen to go to Nepal for a Mount Everest trip this autumn. In addition, there were awards in favour of young and not so young entrepreneurs, who have been encouraged and supported in their efforts to start or grow businesses or local community projects. It was an inspiring evening. The event was sponsored and supported by the Asian Business Connection [ABC]. This is a group who do so much for their local community. There was also food afterwards in the form of a delicious Curry Night. You will not eat better food in restaurants. I have paid £80 to buy each of the 8 kids a special woolly hat to combat the cold. They are going to need it. I was really impressed by the school - this was my second visit. There is no doubt that Academy Schools with everything that they do, the freedoms they have, and the educational transformation, are transforming lives. It was a wonderful evening. Day 24 in dry January - even turned down a drink offered by the Deputy Chief Whip! The Sill has a public drop in day from 11-6 at the Once Brewed YHA and tomorrow there is the first in the new series of the Hexham Debates at 11am in St Mary's Centre in Hexham. - take in the Book Fair at Wylam's St Oswins Church Hall from 10-noon. - Churches Together in Stocksfield have a bring and buy sale on behalf of the Philippines Disaster Appeal from 10-noon, at the community centre. - Greenhead Tea Room reopens today - it is a warm welcome back to the team, who provide great teas and support to many of our hikers and tourists. "The Government need to do more to give the regulator and others teeth, so that we can stop them”. “Choose to Refuse lets you put a stop to nuisance or unwanted calls by stopping them from getting through to you. You can block up to ten numbers. To do this, customers dial 14258**, and the number is added to a database." Speaking in the debate, the Government Minister Ed Vaizey MP said that he will bring forward legislation later in the year to deal with the issue; speaking for myself I am delighted that the Government will be taking action against this practice, and I hope that we can change things for the better. In the meantime, I urge any constituents receiving these phone calls to contact the regulator OFCOM, or contact my office, and together we will deter these companies. Today I am visiting the Ponteland Medical Group, followed by meetings at the Hexham Fire Station, both to meet the local fire fighters and to discuss the possible move of the Fire Station to the Hospital with Alex Bennett, the Chief Fire Officer. I then have a meeting with Northumberland Credit Union, followed by a working dinner at the Excelsior Academy in Newcastle, in aid of Everest Expedition the school are coordinating. Friday I am visiting the Tynedale Business Network to discuss the March Budget and what Local Businesses want the chancellor to do more to help us continue to grown the Northumberland economy. Then I have meetings with the Asian Business Connections and the MEP Martin Callanan, followed by lunch at the Beacon with Excelsior, Newcastle College and Newcastle University Students. In the Evening I have a meeting with the CCF locally in Stocksfield. Saturday I am in Prudhoe for several meetings, and then will be knocking on doors, before further surgeries and meetings later in the afternoon. Even with a growing economy, these figures from the labour market exceeded all expectations. A fall of 167,000 in the unemployment level over three months hasn't been seen in 17 years. An unemployment rate of 7.1% has not been registered since early 2009. It is clear that the British economy is creating jobs at a much faster rate than most analysts had predicted. The Bank of England is among those who are junking their earlier forecasts. Last August the Bank expected the jobless rate to stay above 7% till at least 2016. But now five months later it has already fallen to within a whisker of that 7% benchmark, set by the Bank as the time when they would start considering interest rate rises. In the North East there are now 22,000 more people in work that there were 3 months ago. In Hexham on either level - namely the number of people in work or the number of people seeking work the figures have improved significantly - for example compared to this time last year there is a 24% decrease in unemployment. The Qashqai is the Nissan flagship model in Europe, sustaining the jobs of thousands of people in design, engineering, manufacturing and sales in the UK. UN ‘Geneva II’ Syria peace summit opens today - what will it achieve? Any chance to get the many sides talkking is a good thing. From my recent trip to the Turkish / Syria border I am strongly of the view that we must have a transitional government that accomodates all sides. This will probably require UN monitoring as until the UN agrees to enforce a peace there will be no peace with Russia continuing to back, and providing weapons, to Assad. I met many of the moderate Syrian Opposition leaders 10 days ago and I wish them well. 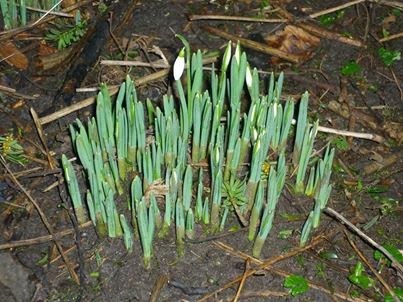 These snowdrops were photographed on the weekend and show that even up north in Northumberland spring is on its way! Great news! Are you planning your trip north soon? Have you decided that the time has come to take a crack at Hadrians Wall? Apparently Monday 20th January is our most miserable day of the year, (known as Blue Monday) so I found time to smile at the new spoof website which is UKIP Weather, which was set up in response to some bizarre comments by one of their councillors about the flooding problems: if you have not listened to it I urge you to do so; it is genuinely very funny; you will never listen to the Shipping Forecast in the same way again. I am proud to have been part of the change in the law last Friday in the House of Commons: the Armed Forces Citizenship Bill will make it easier for Commonwealth-born members of the armed forces to claim British citizenship. Existing rules state overseas applicants for British citizenship must have lived in the UK for five years. But applicants only start working towards that five-year threshold from the first day they arrive in the UK. As Commonwealth-born soldiers, sailors and airmen are often immediately posted overseas after they sign up, they may have to wait for longer than other applicants before they can claim British citizenship. The new Citizenship (Armed Forces) Bill, would allow immigration officials to waive the minimum five-year threshold for citizenship applications from Commonwealth-born servicemen and women, as well as veterans. The legislation would affect around 200 members or former members of the armed forces, many of whom are likely to come from countries such as Fiji, Jamaica, South Africa and Ghana, as well as Nepal. In my view: this is certainly not going to impact on our immigration or nationalisation numbers to any great extent. But, there is an injustice in the current rules and regulations and that needs to be changed. I do believe it is wrong for our armed services personnel and former armed services personnel, who fit in to this category, to be discriminated against in this way. It is anomalous and it is something that the Commons and the Lords can, and should, rectify. Every day that members of our armed forces have spent in the service of our country abroad should have the same value in the eyes of the immigration authorities as a day spent in the UK. This Bill is backed very strongly by Veterans Aid, Help for Heroes, the Royal British Legion and all other Armed Forces Charities. Monday sees a key meeting on Off Grid energy at 2.30 at Department for Work and Pensions, followed by a discussion both at DWP, and in Westminster separately, concerning credit unions and local banking; later that evening I am invited to Number 10 Downing Street, with the PM. We have multiple debates this coming week on many issues but the key debate will be on the Lobbying Bill on Wednesday. I am pleased to say that this Bill has dramatically improved by reason of the detailed legislative scrutiny and the negotiations in the House of Lords. I also have further Westminster based constituency meetings notably with Jon Lawler, of the independent NHS England North East; we will discuss CCG allocations and healthcare generally in the North East. We will be welcoming Sam Armstrong, who is 18 years old & from Hexham, who is coming to the Westminster office for 3 days of work experience. On Thursday I head north at crack of dawn for 4 days in the constituency. I have surgeries, community visits, and so much more. It is a speech I am really proud of. The background to the Bill is as follows. The Gender Equality (International Development) Bill completed its final stages in the House of Commons after receiving cross-party support on 17 January 2014. This private member's bill, introduced by Conservative MP Bill Cash, would require the International Development Secretary to consider whether proposed assistance will reduce poverty in a way that is also likely to contribute to reducing inequality, before providing aid to developing countries. Mr Cash said that his bill was inspired by his experiences in India and Africa where he witnessed women carrying out most of the work to help improve their societies. According to government statistics women do an estimated 60% of the world's work but on average earn only 10% of the world's income and only own 2% of the world's land. Opening the debate Mr Cash said "this bill will help enormously a social revolution" helping women in developing countries. This bill achieves as much as the British people and Government can achieve in terms of putting women's rights at the heart of the international development agenda" Mr Cash continued. Brick in the wall: During the debate Mr Cash read a letter of support he had received from the prime minster out to the chamber. Mr Cash told the house that David Cameron had called his bill "another brick in the wall of the whole argument that this should be a year that we really deliver a massive joined up agenda on women's empowerment and equality all around the world." In the letter Mr Cameron also wrote that "the bill will make Britain have a leading role in examining gender equality before we deploy aid and other resources." The debate is worth following in full. Do not forget to pencil in the Literary Festival, which takes place between the 28th April and May 8th. It is great event for the Tyne Valley and I was delighted to be a part of it last year. Last weekend I travelled to the Syria Border to see for myself how British help is making a difference to the lives of thousands of Syrian Refugees. I went to the Nizip refugee camp. There are 17,000 refugees there. This is just a fraction of the 600,000 Syrians sheltering in Southern Turkey, who have fled the brutality of Assad. They are only able to survive with the support of the Turkish government, and the international aid that is given by many countries, not least Britain. My trip lasted 4 days. 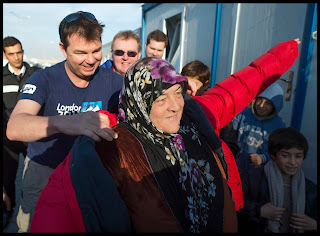 My primary reason to go was to take part in a social action project, distribute warm weather clothing to the refugees for the winter snows that are coming to the region and also see what happens to the money that British people spend on international aid. It was one of the most humbling and disturbing visits I have ever experienced. 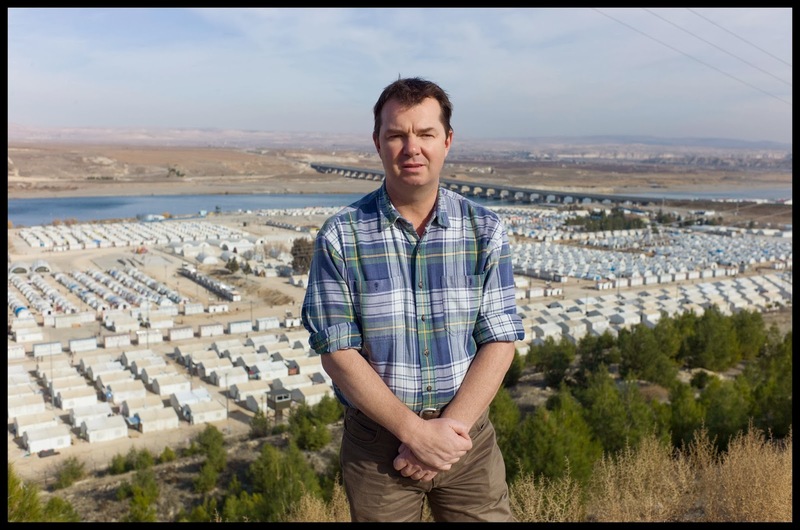 Nizip is on a famous site in Turkey, right on the bank of the River Euphrates; the camp has around 11,000 Syrians in tents, and just under 6,000 in containers. The camps have been in existence for around a year, and cater to Syrians fleeing Aleppo, Homs, and all of Northern Syria. Half of the 17,000 people there are children. I was able to see for myself the difference the British food aid was making in the shops that exist on the camp. Indeed, Britain has provided over £500 million of aid to the Syrian Refugee crisis – the second biggest in the world after the USA. It is money well spent and it is getting to the right people. 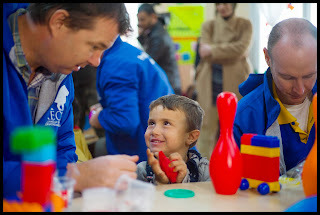 Life does go on even in the camp: I went round many of the classrooms that exist on the camp, as the Syrians try to provide education for their children. I met Suleiman, a former engineer in Homs, who was now a teacher of Year 6 and 7 children in the camp. He spoke movingly of the family members he had lost, his desire to return one day to his homeland, and the difficulties of teaching in the camp. I sat in on a primary school class and distributed presents from Playdo to sports equipment. While in Nizip I also met representatives of the host Turkish Aid organisations, UNICEF, the Foreign and Commonwealth Office, and separately spoke to the Syrian opposition leaders and military commanders. The background to this visit is the upcoming Geneva II peace negotiations, beginning in Switzerland on 22 January, where the international community will be doing all it can to bring about a diplomatic resolution to the crisis in Syria. The objective is a transitional government, which will allow the Syrian people to cross the border 20 miles south of the Nizip camp and go home. Last year, most commentators believed that the Assad regime was finished, and that the fighting would soon be over. No one thinks so now. The refugee crisis in Syria has seen over 2 million people displaced: what I saw in Southern Turkey is a fraction of the consequences of the Assad conflict. The sheer number of displaced Syrians is impossible to compute: TV can show us families huddling in the snows; it can transmit pictures of injured children; it can broadcast footage of rubble. But it can’t convey the sheer vastness of what is going on. So this week in the House of Commons I have raised with the Foreign Secretary the urgent need to take all steps necessary to enable Syrian refugees to return to their homeland, both diplomatically through the Geneva II peace negotiations, and ultimately through the provision of safe havens. In the meantime, we have to do all that we can to ensure the safe passage of aid to the Syrians both in, and outside, their homeland. One final thing was clear to me, by reason of this weekend: British people are saving lives, making a difference, and allowing the Syrians a chance to live. We should be very proud of our action and our humanitarian support. This is giving the world the chance to develop a diplomatic solution which will ultimately allow the Syrians to go back to their homeland. This is getting too French! Has Miliband bank speech thrown away the election? "What was most depressing about Miliband's speech was his dismissal of deficit reduction. Labour has just given up on the macro-economy." Nick Robinson of the BBC drops a bomb - "Ed, how are you going to tell your party they can't have what they want - massive spending?" BBC comments: Miliband is "like an arsonist who burns your house down and then criticises your choice of fire engine". 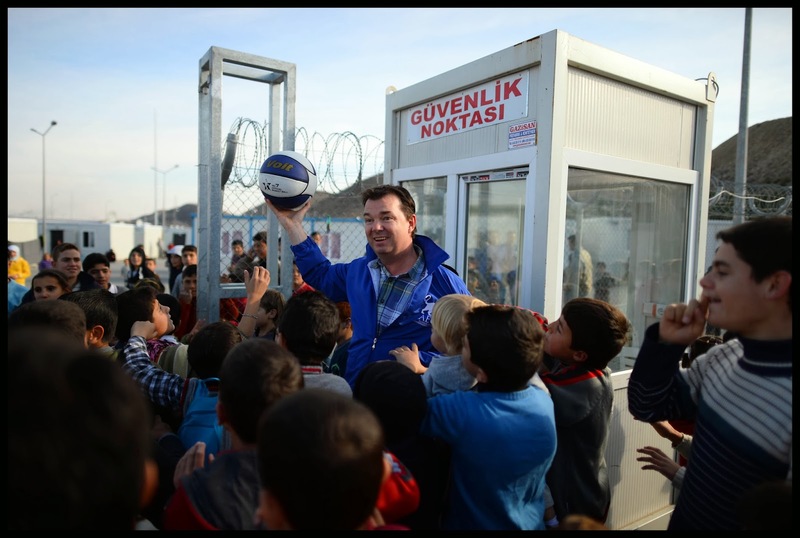 I spent last weekend on the Turkish / Syria border where I went to the Nizip refugee camp; the experience moved me in many ways, and I was pleased to be able to help provide warm weather clothing and equipment for the schoolkids there; I have since then called for humanitarian organisations to be able to access the worst hit parts of the war torn country. I believe it is now absolutely vital that the EU and the UN ensure the safe passage for humanitarian organisations to reach people in Syria who are in desperate need and find it impossible to get access to aid. I have seen for myself the challenges they are facing in this most desperate part of the world. The Government has already rightly committed £500 million to help those affected by the conflict. This is the UK’s largest ever response to any humanitarian crisis. It will provide support including food, medical care and relief items for over a million people including those affected by the fighting in Syria and to refugees in Lebanon, Jordan, Turkey and Iraq. I am particularly concerned by the plight of the many children caught up in this monstrous conflict. Over 50% of the refugees are under 18, that is almost unimaginable. I went as part of an EU-wide delegation and have raised questions in the House of Commons on how the Government is ensuring aid gets to those refugees who need it most. The fundamental mission now must be to secure a deal on the safe transit of aid to those who need it most, that is what I believe will make the biggest difference to the many innocent people caught up in this horrendous conflict. "Last night, I returned from a four-day trip with the Alliance of European Conservatives and Reformists to the Nizip 2 refugee camp, just inside the Turkish border. Turkey’s amazing humanitarian action and our aid programme—its provision of food, in particular—should be complimented. While I was there, I met representatives of UNICEF, the Foreign and Commonwealth Office, AFAD and, separately, Syrian opposition leaders and military commanders, as well as dozens of refugees, whom we are helping with winter clothing and a social action project. All the Syrians I met want their country back and are desperate to return home. I urge the Foreign Secretary to take all steps necessary to enable Syrian refugees to return to their homeland, both diplomatically through Geneva II, and ultimately through the provision of safe havens." Responding the Foreign Secretary, William Hague MP, said: "I applaud what my hon. Friend and other colleagues have done in going to assist the people in that region, and I do not doubt at all the sincerity of the message that he brings back, which is that people want to be able to go to their homes in peace. That again underlines the urgency of the political process that we are beginning next week. It is a formidably difficult process, but it is right to start and to try a political process; that is the only sustainable hope of peace. He can be assured that we will give every effort to that." Minimum Wage set to rise! Day 16 of Dry January .... and it is going well! 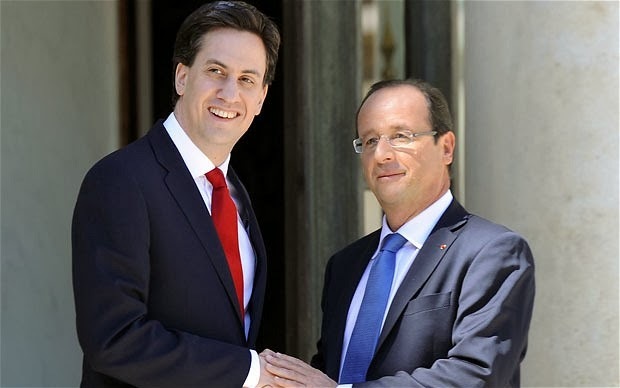 Francois Hollande - is he still Ed Miliband's "Bon Ami"? "The Leader of the Opposition has said, “What Hollande is doing in France I want to do in Britain.” Given recent events across the channel, does my right hon. Friend agree that that is completely at odds with our long-term economic plan?" "I did not catch all of President Hollande’s press conference yesterday, because I was appearing in front of the Liaison Committee, but one thing that I did notice is that the French proposals now are to cut spending in order to cut taxes in order to make the economy more competitive. Perhaps the shadow Chancellor, in his new silent form, will want to consider some of those ideas and recognise that this revolution of making business more competitive and trying to win in the global race is a proper plan for the economy." Since 2010 the Government have increased the Minimum Wage despite inheriting the worst recession in a century. We have also created over a million new jobs and cut the income tax and tax threshholds of low paid workers. I could go on about the doubling of apprenticeships and the focus on skills for young workers but I want to applaud the decision to address minimum wage avoidance. Anyone entitled to the national minimum wage should receive it. Paying anything less than this is unacceptable, illegal and will be punished by law. So we are bringing in tougher financial penalties to crackdown on those who do not play by the rules. 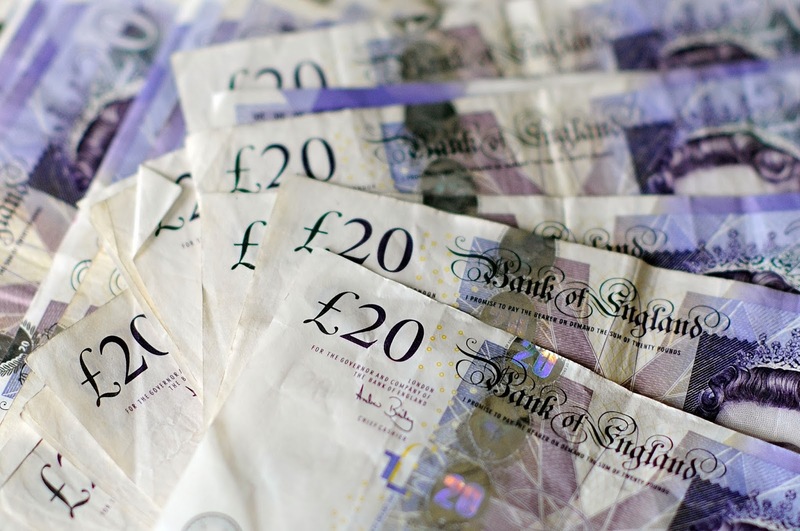 Subject to Parliamentary approval, by February 2014 employers who do not pay their workers the national minimum wage will face an increased penalty of up to £20,000. The national minimum wage plays an important role in supporting low-paid hardworking people. Enforcing it is a key to ensuring those who play by the rules and do the right thing are treated fairly. If I am able to I will be speaking on the issue later today in the House, and our campaign to get North East employers to pay a North East Living Wage continues. Firstly let me say I am as bitterly disappointed as anyone that none of the grand schemes mooted by the Council's Labour leadership, as headlined in the Hexham Courant, have came to anything more than press releases. I am afraid that our town has been misled on our bus station's future. We have seen three different plans from the new Labour County Council. - and the other to knock the whole thing down, and move it. Now, it has been revealed we will be getting no bus station at all as the County Council plans to sell it off. As for actual plans, the only plans I have had any sight of from NCC are those that were presented at Hexham Town Council last Week. We are proposed a bus stop, and a bus turning solution at the top of Beaumont Street; this has been aptly named the 'do minimum' solution. I couldn't put it better myself. This is not only disappointing, but it also obviously leads on to associated problems with traffic, buses attempting to pass on Battle Hill, the turning of buses and the safety of pedestrians and, in particular, the safety of children walking to and from our local schools. 1) The Labour Council must explain to local people the huge gap between their many public commitments on the future of our bus station and and the present proposal. 2) I will continue to raise my concerns regarding the impact of the proposals on our town, including the loss of a bus station, a failure to provide the promised facilitates, the loss of a visual amenity at Beaumont Street, traffic on Battle Hill, and road safety at the top of Beaumont Street. "Companies in the North of England are now growing at the fastest pace seen in any UK region," one of the country’s leading business figures has said, in a sign that the economic recovery is broadening. Ian Powell, the chairman of top-four accountancy firm PricewaterhouseCoopers (PWC) told The Telegraph that the firm's regional offices in the North have experienced double-digit growth over the last year with a marked upswing in deals and a rise jobs. Mr Powell attributed the growth on the commercial reinvention of major regional centres and the development of advanced manufacturing to replace traditional industries. “Manufacturing and speciality engineering are undoubtedly enjoying a resurgence in Yorkshire and the North East. Onshoring processes which had previously been taken offshore, investing in capital and skills training - including apprenticeships - and a focus on exports are all features we are seeing,” said Mr Powell, who singled out Manchester, Leeds and Newcastles as cities where companies are experiencing rapid growth." Today I am meeting Ed Twiddy, head of the North East Local Enterprise Partnership, and discussing how we can bring more jobs, a University Technical College and even more apprenticeships to the North Eastand then there is the usual Monday Home Office Ministers Meeting, followed by various meetings in the House; on Tuesday I have a meeting with the Dementia Friends team to understand better the work that they are doing, and how we can do more in Northumberland. I also will be welcoming Graham Usher to the House of Commons and introducing him to the many new MPs he has to look after in his new role as Bishop of Dudley. Finally on Tuesday I and other colleagues are seeing the Prime Minister. On Wednesday we have an Opposition day debate in the House of Commons. Thursday I have a busy day catching up on loads of correspondence and answering constituents queries. I am in the House this Friday once again with Home Office and Private Members Bills from 9.30 on Friday morning. In particular I am looking forward to helping to guide the Armed Forces Citizenship Bill through its last stage in the Commons. It will be a key part in fulfilling the military covenant. Well, a new year, a new layout. I really hope you all like the new layout of the blog. It is hopefully a bit more user friendly and easier to read. Believe it our not this is my 1684th blog post! It has been really good to be able to keep you updated in my work as your local MP - directly as it happens. Thank you to everyone who reads, comments and provides feedback. Any suggestions or ideas for changes leave them in the comments or drop me an email. As a jockey, I spent far too much time in A and E departments after coming off race horses. Once, I wandered into hospital with a broken collarbone and four bones sticking out of my shoulder. On another occasion, I spent a long time with a cut kidney and lost a spleen at Warwick hospital—I thank Dr Mike Stellakis, and his team, for saving my life that night. Also, two years ago, I collapsed in the House and spent a night in St Thomas’ with a young but capable bunch of A and E doctors. I thank them all and put on the record this Christmas the huge effort made by all our public sector staff, particularly in the NHS. In Northumberland, we feel that we are leading the way in health care provision. Begun under the previous Government, that has continued under this one. Haltwhistle is a small cottage hospital that in the olden days would have been shut, but which now is being rebuilt as an integrated NHS and local authority facility. It is the first of its kind in the country; it is utterly transformative and it is exactly what the NHS and the local authority should be doing with old buildings, although I urge the trust to resolve the contracts that are not yet resolved. When I visited it last week, however, I saw that it was a truly innovative building and that it would be a great addition. Hexham A and E is also a fantastic building. This November, I worked there as a hospital porter, and I thank Barry, the head porter, who has worked there 31 years, for keeping me in line and ensuring I did not put anything in the wrong place. Then there is Cramlington, an innovative, pre-Keogh assessment health care centre being built for the north-east. It is a perfect example of where we should be going: a 24-hour, seven-day-a-week, consultant-led facility. As an A and E specialist care facility, it is exactly what Keogh is talking about. Interestingly, it was planned under the previous Government and is being brought forward under this one. It is exactly the direction we should be heading in. I shall deal briefly with another issue. Northumbria has outstanding health care, but sadly North Cumbria is having some difficulties, and I urge the Secretary of State to expedite the merger of Northumbria and North Cumbria NHS trusts as soon as possible. I turn now to ways we can keep our constituents and patients out of A and E. I have no spleen—it was kicked out of me by a three-mile chaser at Stratford—so every year I need the flu jab. Consequently, like pensioners, some young children and vulnerable adults, I went to get my flu jab last month at Haltwhistle GP centre. I thank Sarah Speed—it was not painful and took only five minutes. Tragically, however, at least 10% to 20% of the population do not take up the flu jab and are therefore likely to end up in A and E over the winter or possibly die. As constituency MPs, we must ram home their failure to take up the opportunity to deal with their own health care. Finally, I turn to the hospice and dementia care systems in Northumberland. In the Charlotte Straker hospice and Tynedale Hospice at Home, we have two outstanding hospices, both of which I have assisted and one of which I have fundraised for. Both do a great job keeping people out of hospital. I should also mention the Age UK programme dealing with elderly people in my constituency. 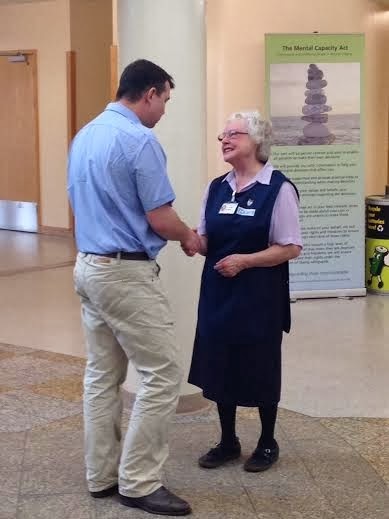 It is making a huge difference and ensuring that everyone becomes a dementia friend. Only through such actions will we bring about real change in our health care system. Good news for our plan for a ‘balanced’ recovery: manufacturers’ capacity use, and confidence are at the highest since the survey began in 1988. The upshot, as Citibank have commented, is that the UK economy will likely grow far faster this year than Osborne’s cautious official expectation. He will most likely have another healthy upgrade to announce in his next budget; growth of more than 3 per cent this year is expected with massive consequences for jobs. Regular readers will know that I have long campaigned for a voluntary living wage and an enhanced minimum wage. I will continue to make the case to the Chancellor that this is something he is now able to do in the next Budget, as the economy recovers, and in harmony with the ever increasing voluntary sign up to the Living Wage. Northumberland County Council's Labour administration wants to impose a Teenage Tax of over £400 per year on post 16 students travel costs. Northumberland Conservatives oppose this plan and are asking that Labour Councillors to review where they can find savings from other parts of the budget, like staff car allowances, automatic incremental pay increases, or empty property maintenance costs. We believe that it is unfair to charge our young people, especially in our rural areas where they have no choice, to get to school or college and by taxing their travel costs we will be cutting off our poorest students from potential future careers and economic success for our country. This is an issue that has particularly upset locals in West Northumberland and we have been helping local mums and dads in villages like Longbyre, Halton Lea Gate, and Herdley Bank. Yesterday, more evidence emerged of the disastrous decline of France, which has followed a strong left wing socialist agenda under President Hollande. I have blogged before of the growing economic mess of this country - whose fortunes can be compared with the likes of Ireland, or even Spain, both of which have cut their debts and public spending, and not taxed business and job creation into the ground. The Irish in particular have cut taxes to boost growth. The French have raised taxes to 75%. The impact has been to kill any chance of a French recovery stone dead. The perils for us in Britain are clear: it would be economic suicide to follow the Hollande policies in the UK. This is what Miliband / Balls propose. Ponteland Middle School is officially Outstanding!! Ponteland Community Middle School has become the first Middle School in the whole of Northumberland to be judged outstanding in every single area, since the new tougher inspections were introduced. The Ofsted inspection was carried out on Wednesday, 11 and Thursday, 12 December last year. The report is worth a read - see below. This is an incredible achievement and testament to the hard work of all the parents, pupils and teachers who work so hard to make the school what it is. There is, however, one person who deserves to be singled out for special praise: Dr Caroline Pryer, is someone I count as both a friend and one of the best head teachers I have ever met. All head teachers care about their schools. However, there are some who show a level of dedication and commitment to the pupils in their care that can not fail to move you. Caroline is one of those head teachers. Don't just take my word for it. The school has been commended for its strong leadership and management and Ofsted reported: “the headteacher leads a strong team of senior and middle leaders who share her dynamic vision and enrichment to teaching and learning. This team has created a culture of positive thinking”. Ofsted added that, “Leaders, including governors, have the highest expectations of themselves and the staff they lead. Their enthusiasm and drive is shared by all who work in the school”. Today there are questions to the Attorney General and the Deputy Prime Minister - I plan to try and be called at both, albeit I do not have a named question. Most important meeting this week is with the Payments Council CEO to discuss the new Current Account Switch Service in more detail, together with other Payments Council projects central to delivering competition in the banking sector. As usual, for most Wednesdays, there is an Opposition day debate, following after PMQs. Last week before Christmas I popped into the Corbridge Middle School to meet their PE / Sports teacher Dan, and Katy Storie, who is a sky sports mentor. The Sky Sports Programme is really exciting and a real help to the children. Katy is a former England Rugby Player. Dan is a self confessed sports addict, both keen to see transformation in the children. It was great to see this programme engaging the children: the kids were captivated by Katy, her tales of success and problems as an elite athlete, and the lessons she tried to teach the kids as part of a Living for Sport campaign, that is to be really applauded. In barely an hour she had clearly changed the children's perceptions and approach to sport, and also altered their approach to life. The campaign focuses on mental toughness, hunger to achieve, people skills, sports and life knowledge, breaking barriers, and planning for success. I am pleased to say that Sky are supporting several of the schools in the west Northumberland area and I am going to try and follow their development over the next 6 months, popping into the schools as and when I can. It was also good to go to Corbridge Middle School and meet some of the teachers, albeit briefly before Katie started her session. Millions of pounds of government money is spent trying to persuade people to adopt these basic tenets of life – but the message does not seem to be getting through. But almost as important is the need to keep your brain active. This was a message received loud and clear from the Dominos session I had before Age UK’s lunch. 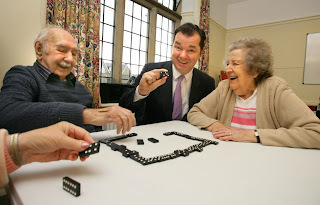 I got soundly thrashed at Dominos by all 3 of my teammates [particularly the wonderful Sybille in the picture to my right], who outwitted me with great smiles and a winning way with Dominos. All of those present were active, living healthily, eating well at an Age UK hot lunch; indeed, many had walked to the Village Hall. They were doing all they could to lead a healthy lifestyle, keeping the brain active and fighting old age. Full credit and thanks to Age UK for inviting me, organising a delicious lunch and being such a great presence in our community. One final point: the harsh fact is that two-thirds of people with dementia live in the community but studies show that sometimes less than half say that they feel part of their community. People with dementia sometimes need a helping hand to go about their daily lives and feel included in their local community. Alzheimer’s Society wants one million people in England to have become a Dementia Friend by 2015. Dementia Friends gives people an understanding of dementia and the small things they can do that can make a difference to people living with dementia - from helping someone find the right bus to spreading the word about dementia. So for 2014 make one of your resolutions this: make sure you reach out to those who are on their own or of advanced years and be a friend to them. 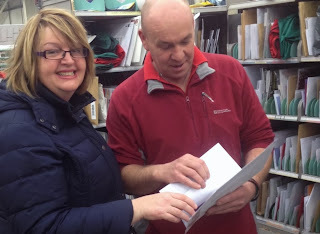 Local Hexham councillor Cath Homer, and I, went just before Christmas to the Bridge End Industrial Estate to meet the team at the Hexham Royal Mail Delivery Office. It was a hive of activity early in the morning, with a massive amount of extra mail and hundreds of extra parcels each day, all of which the enthusiastic team were sorting and about to deliver. We spent some time chatting to the posties and the managers, getting their views on everything from the hills of Hexham, the modernisation of Royal Mail, and the dangers of specific dogs. Cath is seen here with John Hardy, who has delivered her area of Hexham for over 14 years. In truth, noone knows that patch of the town better than John. Likewise, I had a good chat with Valerie Wilson who for the last 7 years has delivered East Hexham, including probably the biggest and toughest hill, which all agreed was Eastwood Grange, just off the Corbridge Road. There is clearly a great atmosphere in the delivery depot - which you need as 50 + people are working really close together in a high pressure job. Between 9-24 december the office will handle around a million items. I also chatted to the 2 lead Managers, Steven Calder, and Richie Foster. Both talked positively about the future for Royal Mail, not least because it has an infrastructure that no other competitor can match, which will be key as the future market for parcels develops over the years. But the posties will need new equipment, not least new vehicles to carry the loads, and both made the case that the modernisation will provide this. We discussed the pay rise and the share scheme and this was seen as a really good thing - as it incentivises the team, with extra payment linked in 2 ways to greater productivity. We also talked dogs: please ensure your dog is not attacking postmen or women - this is not acceptable. If this goes on two things will happen: your post will not get delivered, and if the situation gets worse the police could get involved, and / or possibly the dog taken away. This is a serious matter, and our posties deserve protection. Finally, there was clearly a real sense of long term community spirit amongst the posties, allied to a determination to make the Royal Mail a competitive and long term force, in a difficult world, where it has real competition. Everything I saw in Hexham last week showed that the team there are totally committed to their community, and ready and willing to take on all comers to make the business pay, and enhance their own return from a business they now have a share in. On the last Wednesday of the parliamentary term in the House of Commons I again raised the issue that is affecting many parish and town councils from Hexham and Ponteland downwards. Northumberland County Council are refusing to pass this government money on to the local councils, even though over 90% of other councils have done so. The question we have to ask is why? Other councils are doing this, including I might add plenty, of Labour councils. "On 25 November, in the House, I raised the issue of the council tax benefit support grant, which is not being passed on to all the parish councils in Northumberland. On that occasion, my hon. Friend responded by saying that local authorities should be ensuring that that was done. Can he tell me whether he has made any further progress in forcing them to do so?" "It is true that a very small number of authorities are not yet passing on the grant, and we are telling them that they should. It is a matter for the authorities themselves, but we made it very clear in today’s written statement that they should be passing the money on to the parish councils." "Newcastle receives £2,400 per dwelling, which is about £900 more than areas such as Windsor and Maidenhead." I will post more as we continue to persaude Northumberland County Council to pay the government money that is due our parish councils. The cumulative effect of the Government's increases in the personal allowance for those aged under 65 years (born after 5 April 1948 from 2013-14 tax year) since 2010-11 will take 2.7 million people out of the income tax system by April 2014. 110,000 of them are in the north-east region. These estimates are based on the 2010-11 Survey of Personal Incomes, projected to 2014-15 using economic assumptions consistent with the Office for Budget Responsibility's March 2013 economic and fiscal outlook. I, like everyone else, wish to see our town thrive in the coming years. I, like everyone else, fully accept that our town needs to grow in order to cope with the vary many strategic drivers that will impact upon it into the future. We know however, based upon historical trends data, that this growth will be about 4-5% over the term of the plan and therefore the 10-12% grow figure put forward by the County Council appears to be a figure ‘plucked’ from out of thin air. It is something I simply cannot possibly agree with. Which means that when we take away the number of houses already identified, built, pending or approved we actually need to find sites for far less houses to meet the Council's own prediction for natural population increase. This number is far removed from the inflated figure that the County Council has based their strategy on. This smaller number is a figure that I believe would be what the electorate I represent expects given the promises made to them over the years regarding the use of land in and around Hexham. Regardless of your interpretation of the specific housing figures required, what is clear is that the Councils population estimates are way out of kilter with what anyone else is projecting. What makes the plan even worse is that when you compare it to our neighbouring authorities plans, like for example, Newcastle and Durham. There too, authorities have pencilled in unrealistic population growth projections on the basis that if they build an ever increasing number of houses people will move there. If all of the local authorities are doing the same where do we expect the people to come from? Clearly this is a ludicrous strategic approach to managing our housing stock on a regional basis. This draft LDF is in my opinion, and in the minds of many of the people I was elected to represent, not a sensible sustainable plan for housing growth. The Council does not need Greenbelt deletions in Hexham and I do not believe there are any special circumstances to justify it. I think given that this is a draft it is time to go back to the drawing board. To ask the Minister for Women and Equalities what steps she has taken to support the Church of England's General Synod on the subject of women bishops. I strongly support the Synod in the progress that it has made this year towards enabling women to become bishops. It is widely acknowledged that women already do a tremendous job within the Church of England and the time has come to take the final step of enabling women to become bishops. I understand that the Synod hopes their legislative process to enable the appointment of women bishops will be completed by the end of 2014. It is important to note, that decisions about the Church of England's internal structure and organisation are matters for the Church itself and not Government. Locally I want to help be part of the team that creates a local community bank in Tynedale, building on the base of the credit union, but expanding its numbers, size and scope so that we have a real local bank to take on the big banks. My view remains that we are Better Together and that the Scottish people will agree. I will be campaigning there on several occasions in 2014. As to the Euro elections I will be fighting hard for us to have a strong voice in Europe, and Martin Callanan is that person. Syria I fear will be an ongoing civil war, but I hope to get a better understanding of the situation if I get the chance to visit, or meet with certain key players. I will blog much more on this as there are options ahead. Iran remains, however, the key to improvement in global peace. If the nuclear reprogramming continues then we will all be able to both breathe a sigh of relief, and continue to reduce the wider impact and extent of Middle East conflict. I have not been on a work trip to the region in 2013 - regular readers will know I travel to the region every year. In previous years I have taken myself to Beirut, Israel, Jordan and Turkey. Sport: as a former jockey and racing journalist I always like each bets: my long term each way tip for the national is Monbeg Dude, owned by Mike Tindall and some rugby mates. Last years third Teaforthree will also run well. I fancy Rose for the Masters and Woods for the Open, and Europe for the Ryder Cup. Murray to win Wimbledon again would be too amazing, but we have to dream!